Oh hey, after however many dozens of movies Marvel has cranked out in their expansive cinematic universe, we finally get one with a female protagonist. It’s almost like women like things, make up half the population, or that there are great female comic book characters to put on screen. That sounds just crazy enough to work. All sarcasm aside, this first Captain Marvel trailer looks damn sweet and I can’t wait, especially because I’m pretty sure Brie Larson punches an old lady in the face, and I think that’s funny because I am a bad person. Take a gander below. Just in case you couldn’t tell Captain Marvel is set in the 1990s, this trailer begins with nod to Blockbuster Video and there are pagers. Part of me half expected there to be a Spice Girls song, but alas. We got a nod to Captain Marvel, also known as hotshot Air Force pilot Carol Danvers—though from this trailer, it looks like the movie may be at least in part about her discovering her human past—at the end of Avengers: Infinity War, but this gives us our first real look at the hero. This isn’t the first time the MCU has dipped back in time, what with Captain America: The First Avenger and all. But there are bound to be some timeline questions. 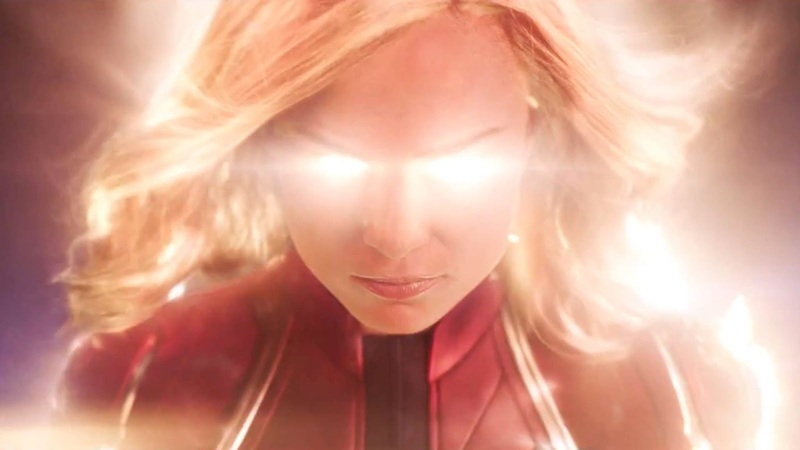 Like if Captain Marvel is so powerful, where is she during the rest of the MCU, like when Loki’s goons invaded New York, or, you know, an Asgardian god shows up on the scene. You’d think they’d want one of their most powerful assets as part of the Avengers, but maybe I’m wrong. I’m sure there will be explanations aplenty and tie-ins to the current predicament, but hey, we get to see two-eyed Nick Fury and Skrulls, so cool. That said, I do like they’re exploring new territory, and it’s about damn time Marvel puts one of their female superheroes front and center. 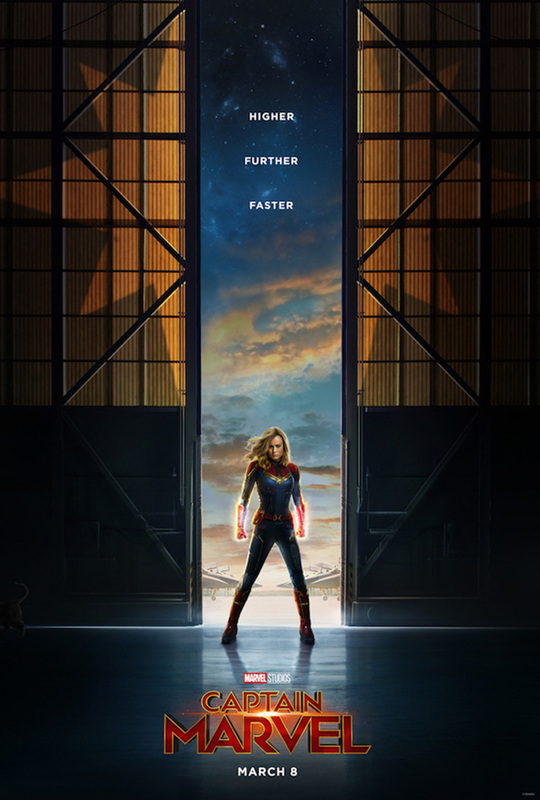 In addition to the Oscar-winning Brie Larson, Captain Marvel also stars Jude Law, Ben Mendelsohn, Djimon Hounsou, Lee Pace, Clark Gregg, Lashana Lynch, Gemma Chan, and Algenis Perez Soto. It opens March 8, 2019, just a few months before Avengers 4, so you know there will be crossover.